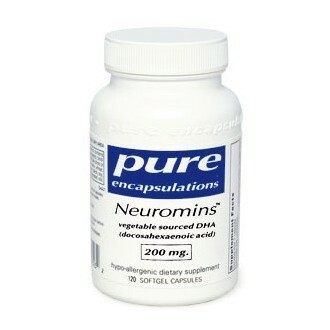 Now in vegetarian softgels *Docosahexaenoic acid (DHA), an omega-3 long chain polyunsaturated fatty acid, is the building block of brain tissue. It is the primary structural fatty acid in the gray matter of the brain and retina of the eye. DHA is an essential nutrient for eye development and for mental and visual function. Humans obtain DHA from their diets, initially through the placenta and from breast milk. DHA is commonly added to infant formula in Japan and Europe. 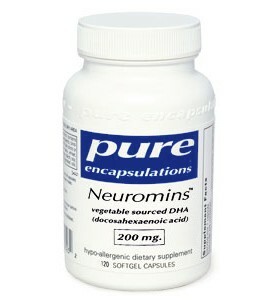 Clinical trials of supplementation with Neuromins in healthy vegetarians have shown an increase in serum DHA and EPA levels.